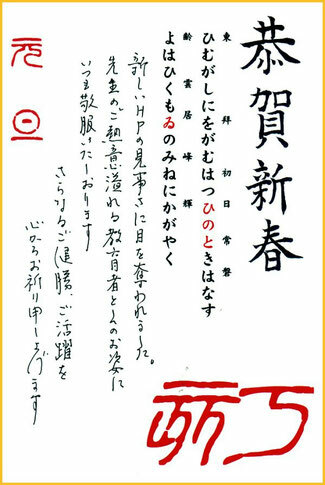 Since the main aim of this work is introducing “His World written in Beautiful Japanese”, let me almost omit Yoshy’s translations in principle. His private description is omitted, indicated as “an omission”. The shining rising sun from the east I am worshiping looks like something sublime and everlasting. I hope my new age lying behind a cloud on the top of Mt. 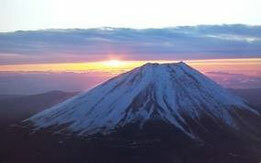 Fuji will also shine this year!